← Chhota Bheem was added to the family today! The rain soaked Yeor Hills look oh so majestic! You know I have taken a little deviation from the way I have posted so far on this blog. I have decided to share some pics on it without having any opinions on them! Recently I purchased an app on Blackberry world. It’s Photo Studio Pro. It has some frames, filters which are pretty good and they make me want to use this “camera” (allow me the liberty to use this word to describe this thing on a Blackberry, knowing fully well that a camera on phone is called the 808 camera! 🙂 ) more. The rains have made my neighbourhood surroundings a little more gorgeous! 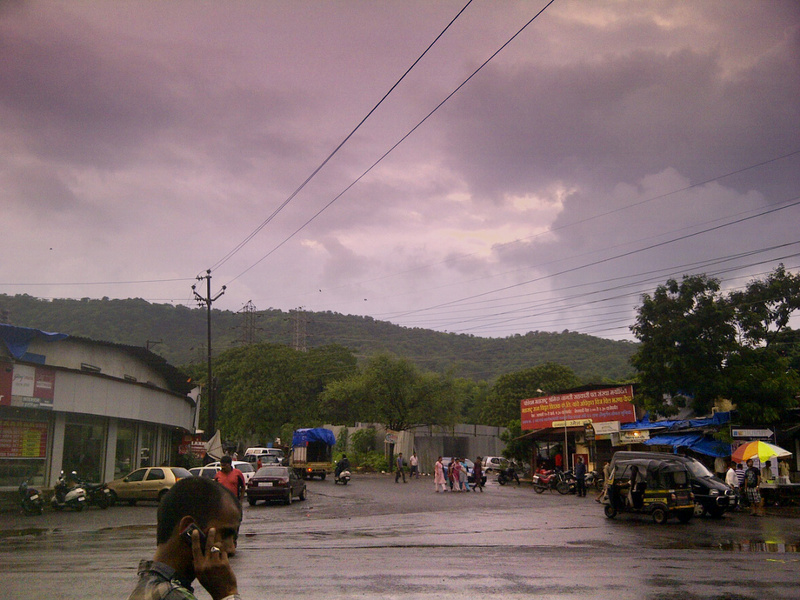 I live in Thane which is not “essentially” Mumbai but a walk in the evening, a glance sideways and you see Yeor Hills. Covered with greenery it totally deserves. A look at it, the breeze, makes me happy and all the travel to Mumbai for work over the weekdays seems < the joys of staying here. It's good. By the way, hope you like our Yeor Hills!